10 Unique, Innovative and Unexpected electronic gadgets like a smarter bike helmet, the bluetooth/DVD boombox, a portable photo printer and more! This device securely stores passwords, usernames, and ATM PIN numbers and enables easy retrieval. Unlike password information stored on a computer, your passwords are stored offline in the vault’s memory, ensuring sensitive information can never be compromised. 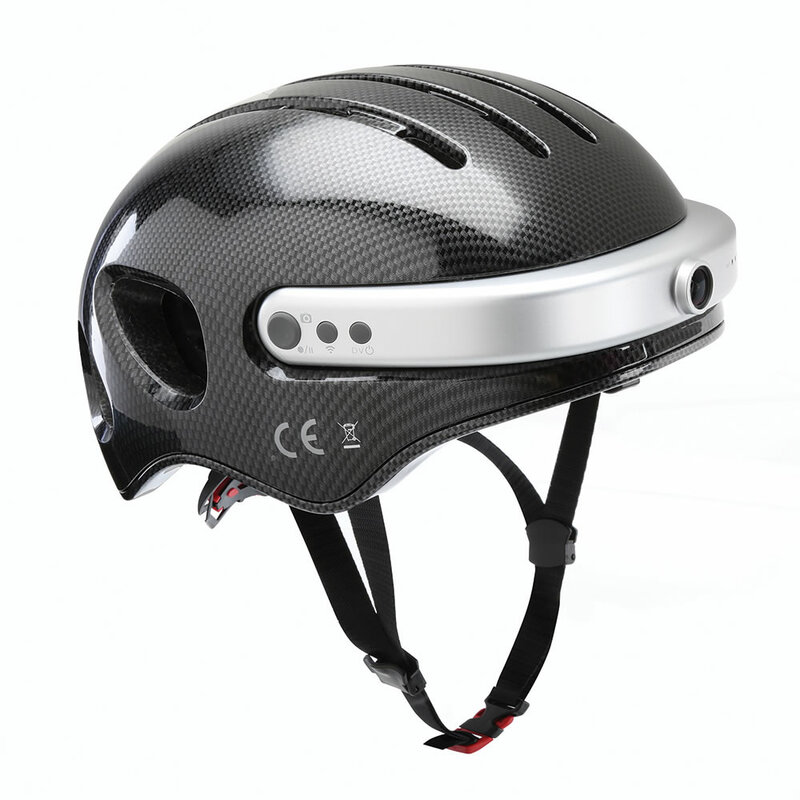 The bicycle helmet records video, receives phone calls, and plays music through a built-in Bluetooth speaker. An integrated camera captures video at 30 fps and still photos using a button on the helmet or a free iOS/Android app. The footage and files are stored on the included 16 GB micro SD card. The Bluetooth speaker pairs with a smartphone for answering calls with the touch of a button or streaming music while riding. 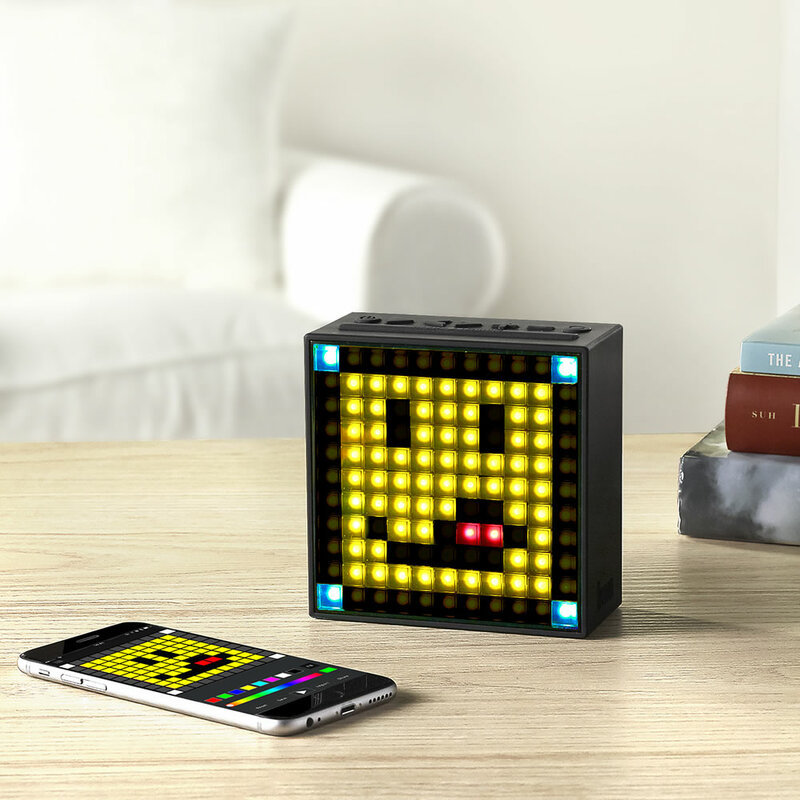 A display creates colorful pixelated patterns from the command of a smartphone. The box displays a variety of still designs and up to 12 fps animations from its expandable pixel art gallery using 121 LEDs that can each express one of 256 RGB colors. Owners can also use the app to create custom animations, such as facial expressions, a flickering flame, flashing lights, and more. Also functions as an audio-visual alarm clock/FM radio with 22 built-in sleep-aiding and 12 alarm profiles, and message recording/playback—audio. The Speaker deliveres the loudest (105db) crispest audio that could be heard easily over running water, unlike other models with tinny, muffled sound. 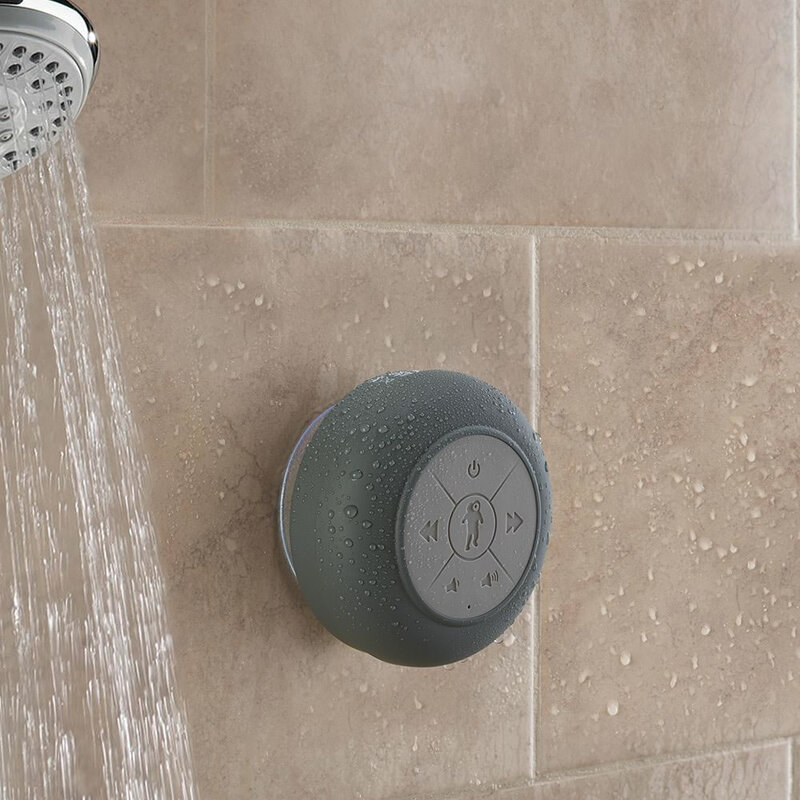 It has large, easy-to-press buttons that control pause/play and skip, volume can be adjusted from the speaker or your paired device, and a built-in microphone lets you take phone calls while in the shower, if you choose so. The speaker has an IPX7 waterproof rating, and it even floats, making it ideal for carefree use outdoors near a pool or hot tub. 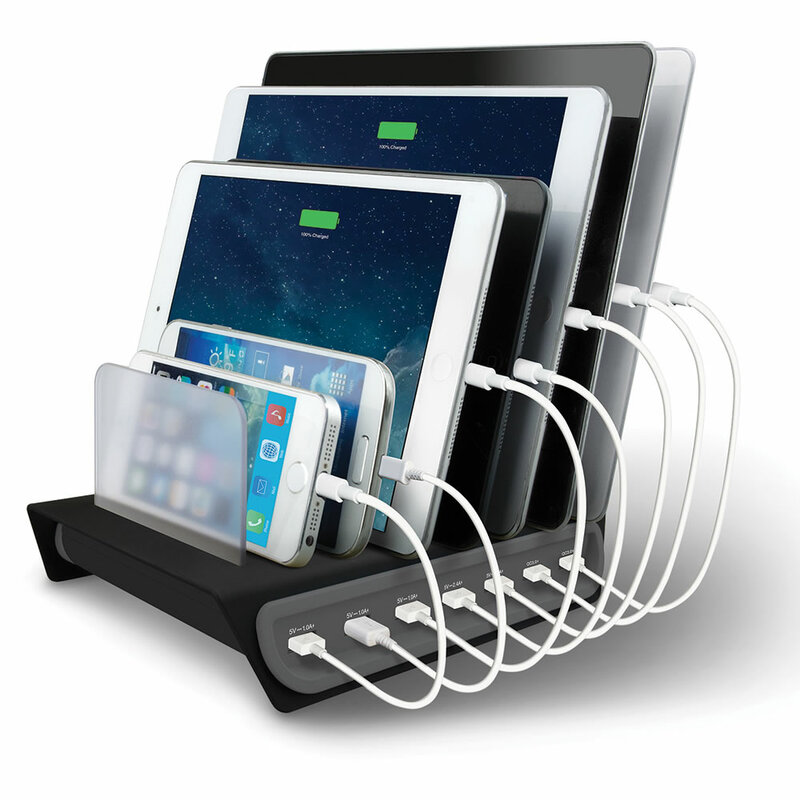 This charging station supplies power to seven USB devices simultaneously. The hub draws power from a standard wall outlet and supplies up to 14 amps to tablets, smartphones, and other electronic devices via two 2.4 amp-, three one amp-, and two three-amp ports. The dock’s integrated smart-charging technology adjusts the energy output of each USB port to optimize recharging speeds of plugged-in devices and the 3-amp ports also feature Quick Charge 3.0 technology for compatible Qualcomm devices that recharges a completely drained battery to 80% full in just 35 minutes. 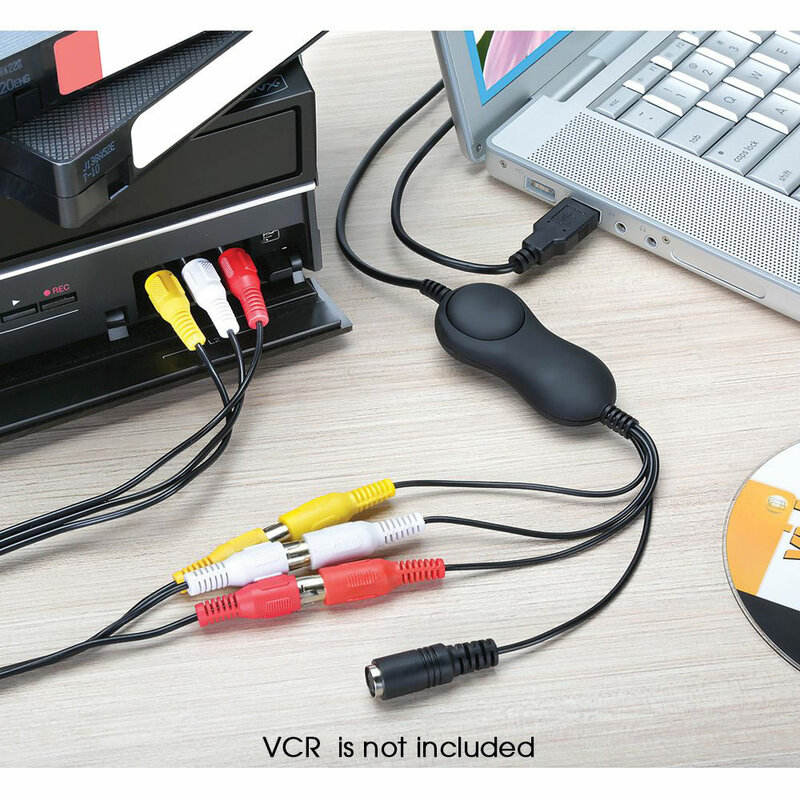 This device connects a VCR to a computer and converts VHS tapes into digital files. Ideal for preserving home movies, TV shows, or other content recorded on video cassettes, it enables one to burn footage to a DVD, create a digital archive, or upload files to a smart device or on social media. With RCA cables and S-video input. Includes software CD compatible with Windows. Operates on a Mac using QuickTime Player. Plugs into USB. 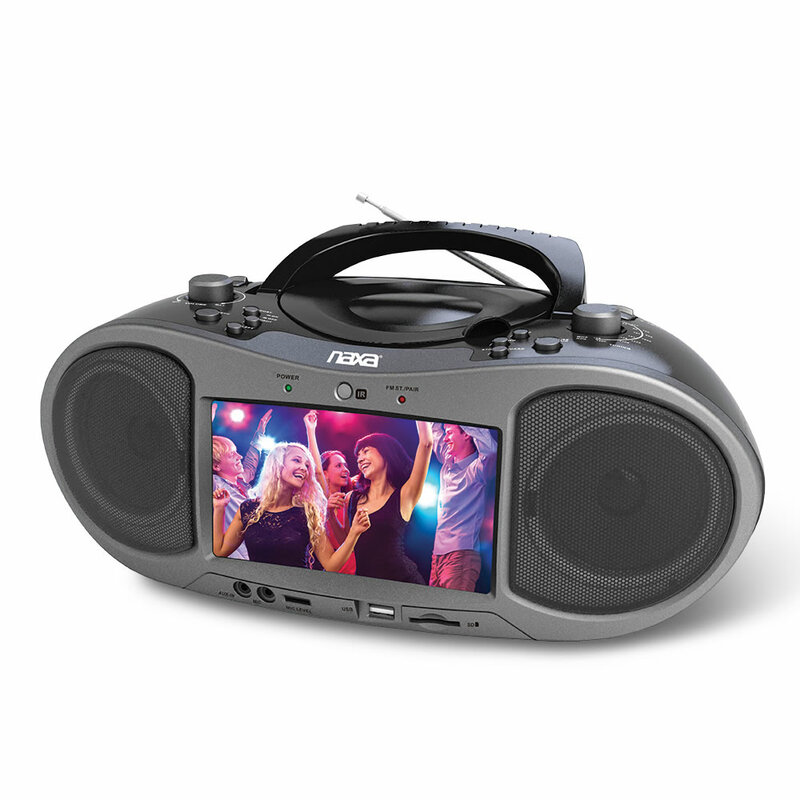 The classic boombox updated with an integrated DVD player and Bluetooth for wirelessly streaming music. Perfect for watching movies during a camping trip or at a tailgate, the unit has a 800 x 480 resolution, 7" TFT LCD screen built into the front of the unit for convenient viewing. For those who prefer digital media, the boombox pairs wirelessly to a smartphone, or plays tracks from USB memory sticks or SD/SDHC cards. For the traditionalists, it offers a CD player, an AM/FM radio, an aux jack for connecting an MP3 player, and a microphone jack for karaoke or play-by-play commentary. This robotics kit that uses STEAM (Science, Technology, Engineering, Art, and Mathematics) curriculum to help a youngling create a custom R2 unit. The set comes with over 30 components including 20 frame pieces, wheels, control hub, proximity sensor, motor, and more that bring one’s droid™ creation to life. A free iOS/Android app enables one to control the droid’s direction, program its movements, and engage in 16 interactive missions. 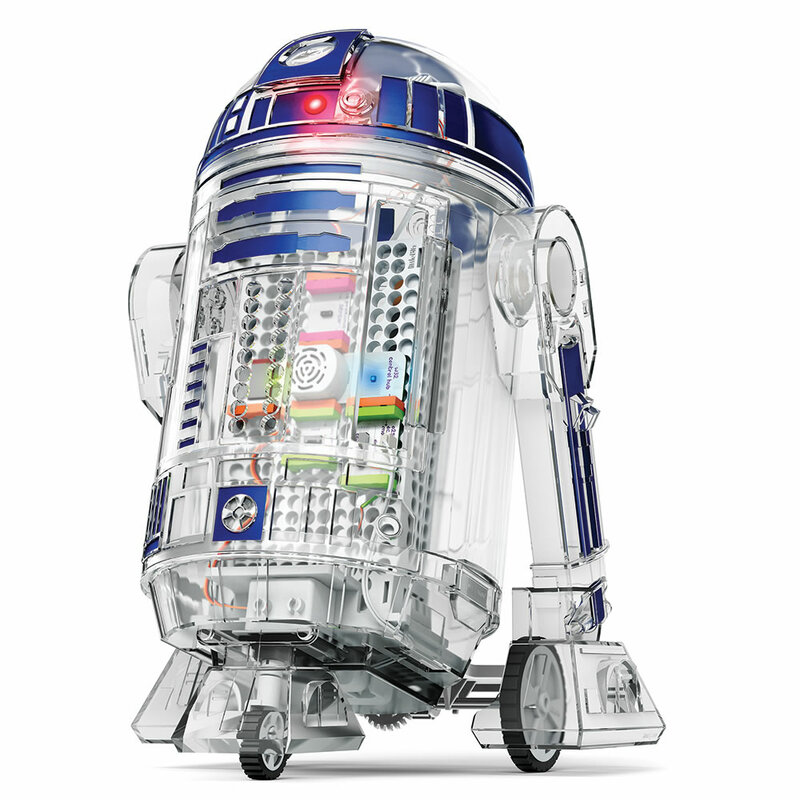 With 20 authentic droid sounds from Star Wars films and three sticker sheets for custom design. In about a minute, this device prints vibrant, 300-dpi resolution 3 3/8" x 2 1/8" pictures using a special paper imbedded with colored dye crystals, with a protective coating that makes photos waterproof, fingerprint-proof, and fade-resistant. The pocket-size printer pairs easily with a smartphone without requiring a wireless network, and its free app lets users add creative filters and special effects. Its rechargeable battery provides 20 minutes of power on a 90-minute charge from the included microUSB cable. Includes photo cartridge that makes 8 prints. 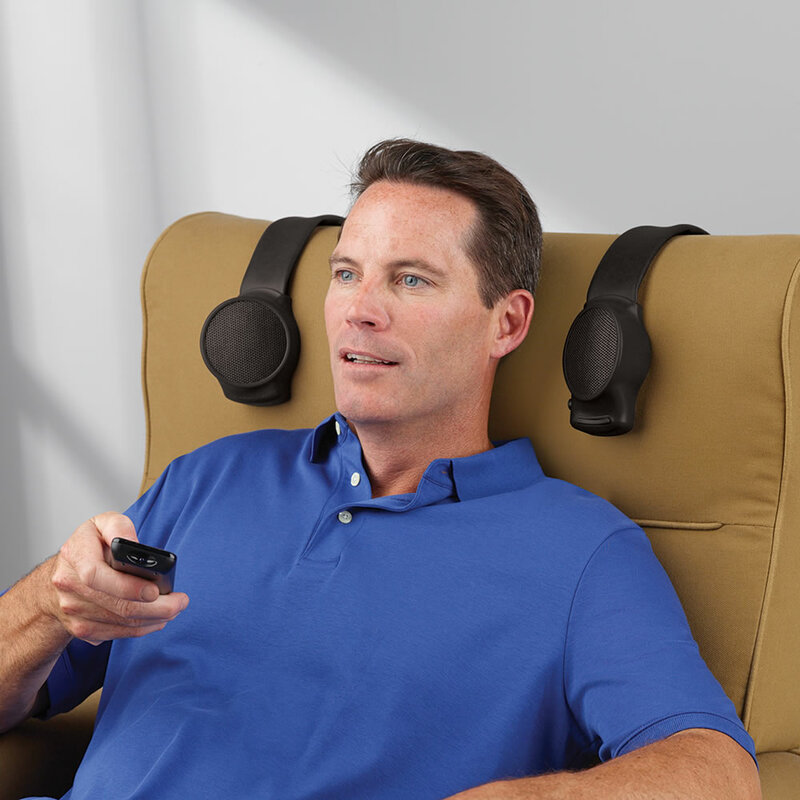 These wireless speakers are designed to contour to a backrest and the included transmitter sends audio wirelessly from a television to the speakers. The speakers are tilted inward to project audio toward the person sitting in the chair, allowing users to hear a movie more clearly without disturbing others. The volume adjusts via buttons on one of the speakers and the transmitter and speakers do not require a line-of-sight connection, allowing easy set up. A translator that provides two-way verbal communication between people that don’t share a common language. 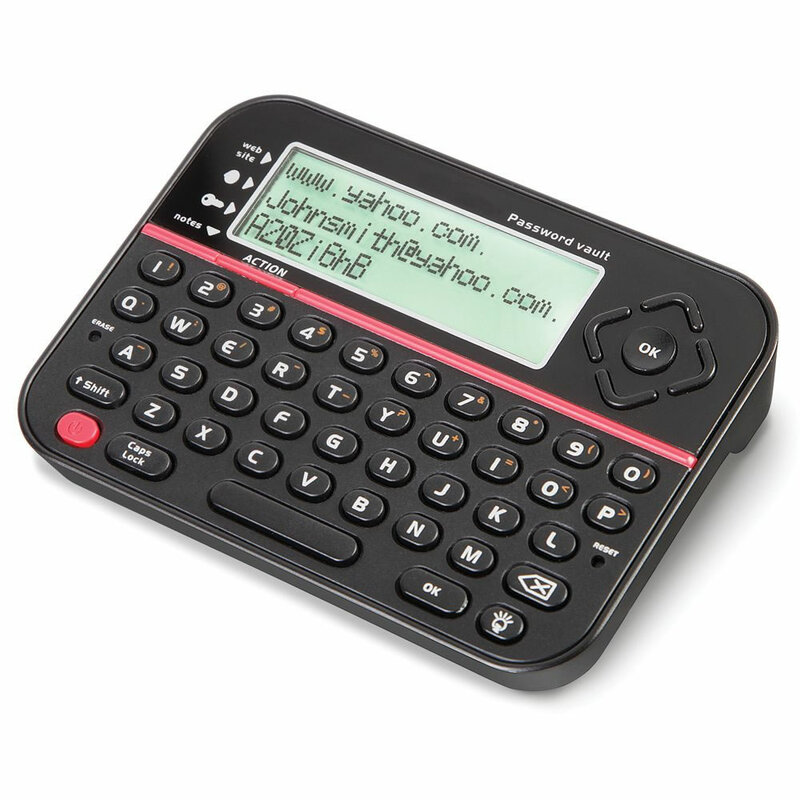 Unlike text translators that require one to stop and enter each sentence word for word, this device automatically translates a spoken phrase or sentence and “speaks” the translation to the other person. It verbally translates 33 languages including French, Italian, Japanese, and Spanish, and provides text translation for 19 additional languages including Arabic, Bulgarian, and Greek. COPYRIGHT © 2018 HAMMACHER SCHLEMMER & COMPANY, INC.